Vipers Sports Club moved to the top of the Azam Uganda Premier League after a hard fought 3-1 win at home to bottom side Masavu FC at the in Kitende. Vipers who were playing without the services of suspended head coach Miguel Da Costa required two very late goals from substitutes Pius Wangi and Milton Karisa to win the game. Masavu looked on course for a vital point after their substitute Ivan Lubale had cancelled out Tom Matsiko’s opener before the late drama happened, much to the relief of the home side. Vipers Tom Matsiko put Vipers into the lead 13 minutes to half time and ensured that the Venoms go into the break on top of the league momentarily. Masavu technical bench brought on board Ivan Lubaale for defender Herbert Kakande on 62 minutes and the former needed just eight minutes to record a statement of intent, scoring a stunner just inside the area with 20 minutes left on the clock. 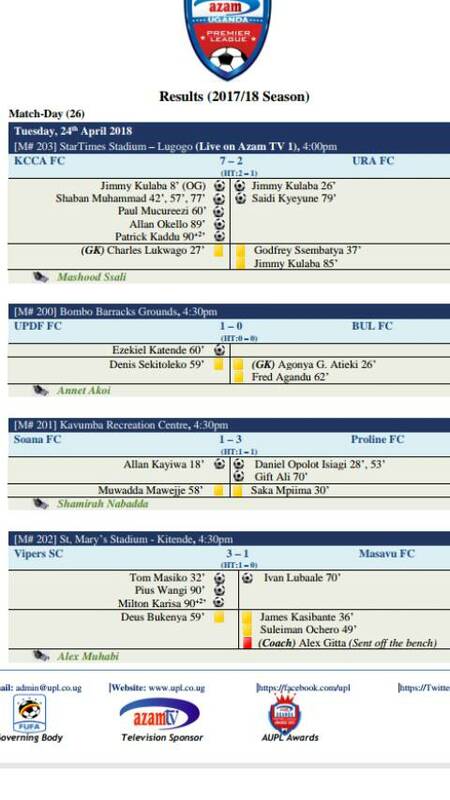 Vipers made two changes introducing Pius Wangi and Milton Karisa for Tom Masiko and Steven Mukwala respectively. When the fourth official Siraje Mpyangu indicated the four minutes of added time, the game remained was one all. 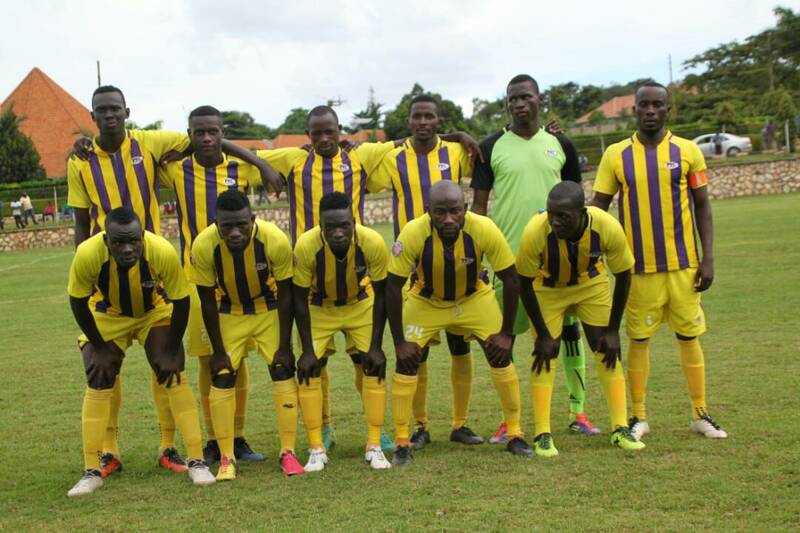 Vipers won a free-kick 35 yards away, Deus Bukenya delivered a floating ball which was tapped home by Wangi in a forest of legs with a couple of Vipers’ players in seemingly off-side positions but the goal stood despite protests by Masavu players. Karisa scored a third on 93 minutes more so in similar fashion to seal the victory that drove the Venoms back to the top with 49 points, same as second placed SC Villa Jogoo but Vipers have a superior goal difference compared to the Jogoo. 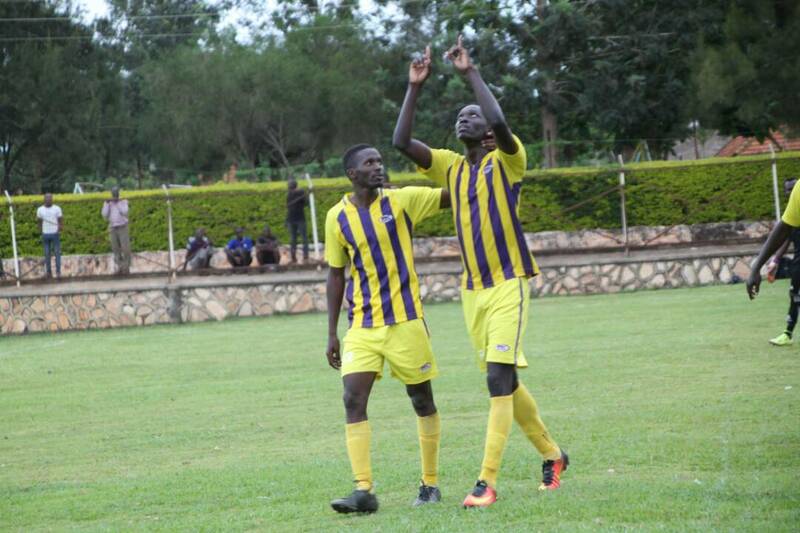 At Kavumba, Daniel Isiagi bagged a brace and Gift Ali scored the other as Proline came from behind to defeat Soana 3-1. Proline’s goals came after Allan Kayiwa had put the home side in the lead in the opening 20 minutes of the game. The win sees the Wandegeya based side jump out of the relegation zone for the first time since they dropped there. Proline move up the table to 13th on the 16-team log with 26 points in 25 games, close to 12th placed Soana who are just two points above but have played one game more. The other fixtures played on the day saw KCCA humiliate URA 7-2 and UPDF moved to 11th on the log with 28points after defeating Bul 1-0 in Bombo. Ezekiel Katende scored the all important goal for the army side on the hour mark.